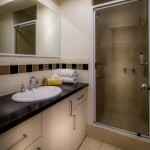 2-6 Nights - $185 per night. 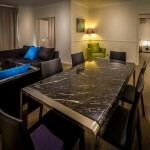 7 or more Nights - $155 per night. 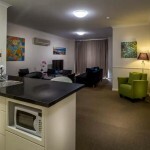 Home From Home are passionate about accommodation. We love the fact that because of this, guests come back to stay with us over and over again. many of those people who have chosen short or longer stays with us over the years have become friends. this is a great added bonus for us, because we love what we do. 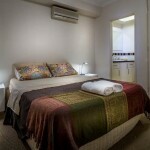 East Perth Short Stay Accommodation. 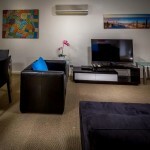 A great apartment in arguably Perth’s best Location. Situated in a contemporary East Perth apartment building, this bright and spacious suite offers a large contemporary open plan living and dining area, with quality finishes throughout. 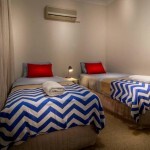 The main bedroom features a queen bed while the second bedroom has 2 single beds. Both bedrooms have premier quality linen and premium beds that will ensure a good night’s rest. Included is undercover secure parking, lift access and security entrance and the apartment is on the route of the free bus service to and from the CBD. On your doorstep you have the beautiful Swan River and many fine restaurants and coffee shops. All of this at prices that just cant be beaten for value, why would you stay anywhere else. Thinking of a Margaret River/Southwest escape after staying with us in one of our fantastic locations in Perth – Why not stay in our luxury “MalaMilla” Villa number 28 @ Cape Villas in Dunsborough. 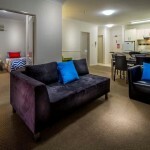 Call Richard on 0407997007 to organise a special discount for staying with us twice.